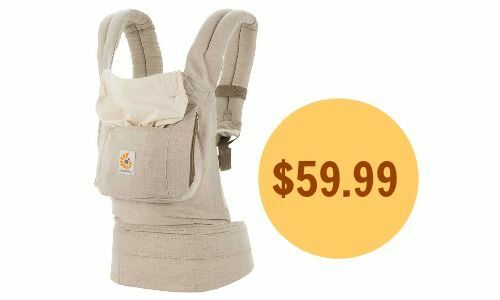 Head over to Zulily where you can grab the Ergobaby Natural Linen Three-Position Carrier for $59.99 (regularly $140). This carrier is $136.99 at Target currently so go ahead and grab it at this price. This is a popular item, so don’t wait to get yours. The carrier can hold baby in three positions up to 45 pounds. Shipping charges apply (but you’ll get FREE shipping on additional orders for the next two days).